Today I had the morning shift at the Athletes Village. Each day I either have the morning shift (8:00 AM - 3:00 PM) or the afternoon shift (2:00-9:00 PM). Even when I'm not "on duty" I try to head over to the Athletes Village for an hour or two to connect with some of the athletes. It's a blessing to realize that six athletes with connections to our Athletes Bible Study in Lake Placid have made it to the Olympics this year: Adam Pengilly (skeleton), Elana Meyers (bobsled), Erin Pac (bobsled), John Napier (bobsled), Sara Studebaker (biathlon), and Wynn Roberts (biathlon). We are proud of all of these athletes, not just for their athletic accomplishments but also their faith in God. Be praying that God will work in each of their lives during the Games. Since I had the morning shift at the Athletes Village, I was able to connect with many people there. And then I had the chance to go to the Men's Doubles Luge race tonight with Kevin Sigsby and Janet Campbell from More Than Gold. It was a great race. 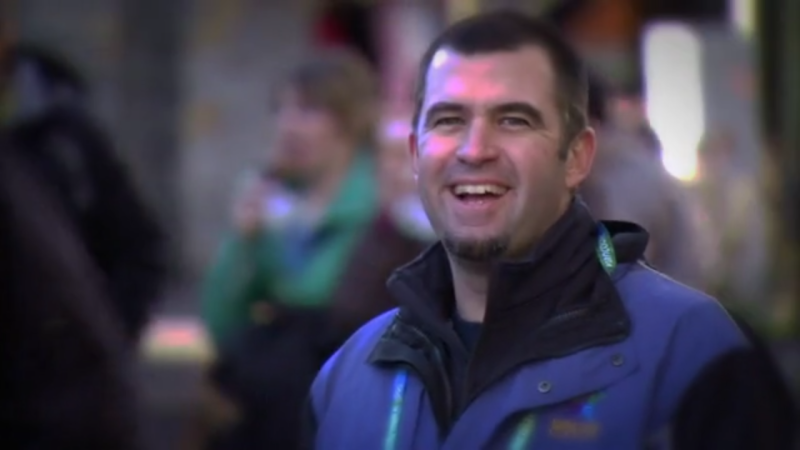 A friend of mine, Steve Sellers, is another one of the chaplains at the Whistler Athletes Village. He is the pastor of an SBC church in Canmore, Alberta and the chaplain at the National Sports Center in Calgary. He is a world-class cross-country skier. He even coached the cross-country team from Costa Rica in the last Olympics (yep, Costa Rica!). Anyway, if you'd like to check out Steve's perspective on the ministry during the Games, check out his blog: http://stevesolympicblog.blogspot.com/. Lastly, Adam Miller from the North American Mission Board wrote a nice article about the ministry in Whistler. Here's a link to it: "The Light is Bright in Whistler." And, I guess you saw the video below... "God at the Games."